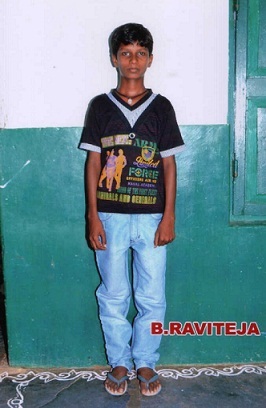 Bighelp thanks Reena Kavimandan for kindly sponsoring the education of Ravi Teja Butti. Bighelp thanks Vijay Kammila for kindly sponsoring the education of Ravi Teja Butti. Bighelp thanks Sadananda & Sushma Gorre for kindly sponsoring the education of Ravi Teja Butti.